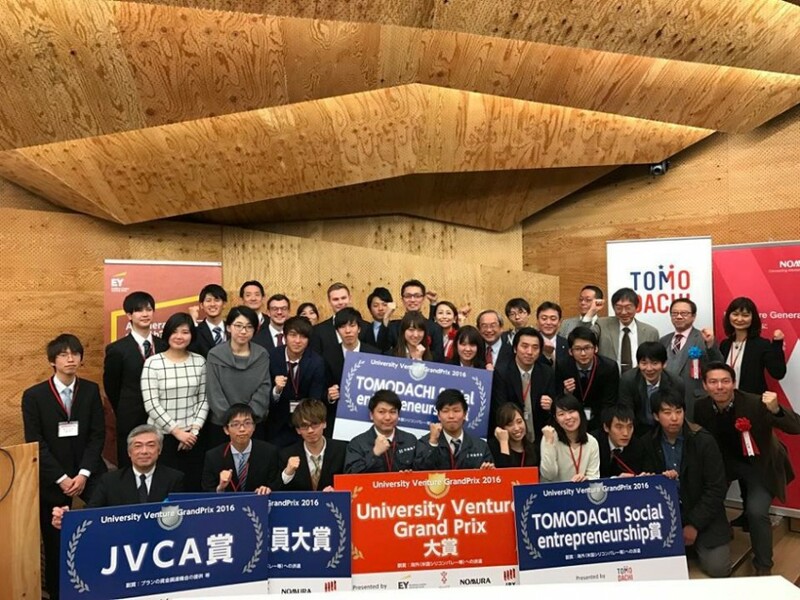 The TOMODACHI Social Entrepreneurship Awards are awarded to two winning teams from the University Venture Grand Prix (UVGP) entrepreneurship contest, established by the Ministry of Economy, Trade and Industry (METI), The Tokyo New Business Conference and other collaborators. Further promoting and progressing Japan’s renewed efforts to revitalize the country’s entrepreneurial landscape and venture/start-up business culture, the TOMODACHI Social Entrepreneurship Award Program was designed to help young, visionary Japanese entrepreneurs build upon their innovation by providing them with the tools and experiences to reach the next level. METI and The Tokyo New Business Conference, together with investment firms and other organizations, are working to grow and strengthen a supportive eco-system for Japan’s creative minds to develop their ideas, secure financial investment and establish their businesses to spur job creation and nationwide economic growth. 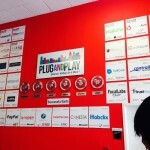 Recognizing the importance of support, education, and funding in fostering and establishing a climate of start-up success and sustainability, leaders within the Japanese government and private sector are rethinking strategies and approaches in order to reach this goal of rapid and expansive start-up growth. The emergence of a holistically-supported and vibrant Japanese start-up/venture sector will enable previously unheard voices and undiscovered thought leaders to pioneer new industries and shake-up existing business models on a global scale. 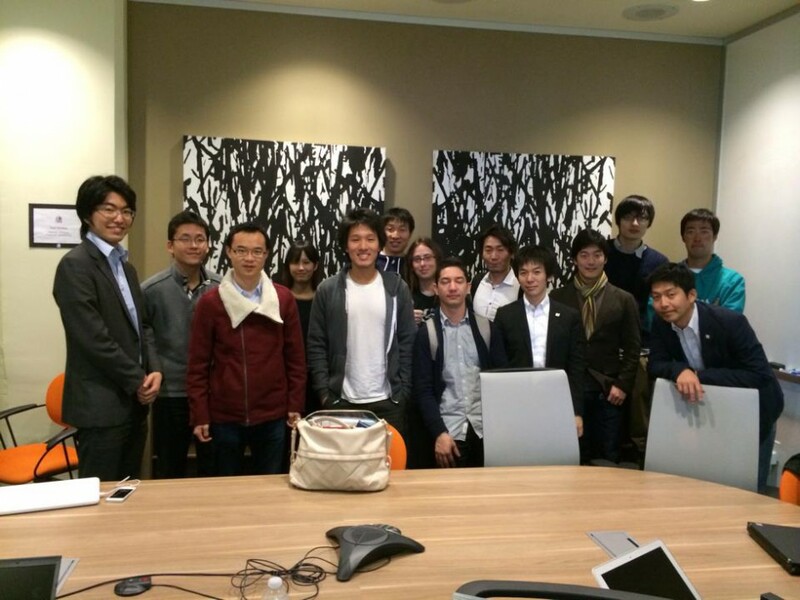 On January 22, 2017, the University Venture Grand Prix Competition 2016 (UVGP 2016), hosted by the Ministry of Economy, Trade and Industry (METI), was held in the Daiwa Ubiquitous Computing Research Building at the University of Tokyo’s Hongo Campus. Ten teams who successfully won the preliminary contests had an opportunity to pitch their business plans to a panel of judges composed of entrepreneurs, professors, and leaders from various fields. This year, the TOMODACHI Social Entrepreneurship Award, which recognizes business plans that focus on social good, was awarded to Ciamo and to Common ice plant. Mr. Hajime Sugiura, Manager of the Corporate Planning Division, ETIC, and Mr. Ryan Way, Economic Officer, Trade and Economic Policy Unit, U.S. Embassy, presented the award on behalf of the judges and provided commentary. With the slogan, “Kuma shochu lees and photosynthetic bacteria will save the world,” Ciamo pitched their business plan to produce and sell microorganisms and photosynthetic bacteria at low cost by recycling the leftover lees from shochu production. Ciamo hopes to encourage shrimp farms and mariculture and agriculture farms to use these microorganisms. By doing so, the farms could contribute to developing a recycling-oriented society, in which fewer chemicals are used and more byproducts are reused. 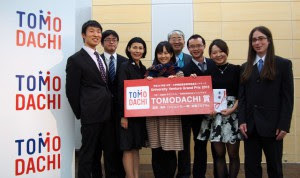 Ciamo received the TOMODACHI Social Entrepreneurship Award for their prosocial, ecofriendly business plan that is revitalizing regional communities. Common ice plant was inspired by the fact that in Tunisia, drought- and salt-tolerant succulent plants, commonly called ice plants, are being disposed of like weeds. Common ice plant’s business plan is to produce and pulverize ice plants in Tunisia and export it as a nutritious salt substitute to countries with large, health-conscious populations like Japan, while also contributing to low-wage local farms in Tunisia. Common ice plant received the TOMODACHI Social Entrepreneurship Award for their business plan that encourages fair trade and Creating Shared Value (CSV). “MoonGlass” can adjust the light and change the darkness of night into a bright world like noon. “MoonGlass” can adjust the light only one touch and automatic. People who are afraid of darkness will be able to go out at night. “MoonGlass” can change the world from darkness to brightness and will provide the users with more convenience and a better sense of security. TECH PROGRESS, Inc. provides lessons for primary school children to learn about management and franchise in the classroom. Through TECH PROGRESS students can learn about game programming, robot control, digital fabrication in a fun way. Our mission is to create a society in which 20% of primary school students tackle “IT×monozukuri” as part of the classroom lesson plan. ECOLOGGIE establishes a new food cycle system by utilizing insect feed. Our business targets are markets concerning the aquaculture industry. We bring about a solution to a serious problem of price rise of fish meal by utilizing ͞crickets͟ as fish feed. As the case stands, aquaculture industry produces cultured fish by feeding finite anchovy as its feed. We reform this unprofitable structure of aquaculture industry by providing nutrient-rich crickets as feed instead. We farm crickets by feeding vegetable wastes, and sell them at a low price. Crickets can be eco-friendly fish feed. This is a new food cycle system which utilizes insect feed. We make profits by selling our self-developed cricket feed. DelphiMed analyzes blood test and urinary test results associated with a patient’s diagnostics through machine learning and deep learning analysis of the data with the aim of providing future probable diagnostics and diagnostic probability just by inputting your own routine medical test results. Special thanks to Delta Airlines for contributing complimentary flights to the participants. 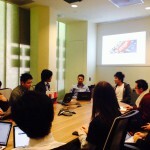 A Post–Program Final Presentation Event will be held in Tokyo, five months after the four winning teams of the TOMODACHI Social Entrepreneurship Award returned from their trip to Silicon Valley in March 2016. These four student teams had won the awards at the University Venture Grand Prix (UVGP) entrepreneurship contest, established by the Ministry of Economy, Trade and Industry (METI), The Tokyo New Business Conference and other collaborators. 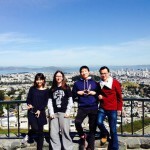 The students will share their lessons learned from the March trip and how they have evolved their ideas and projects with the information and connections they acquired through the program. 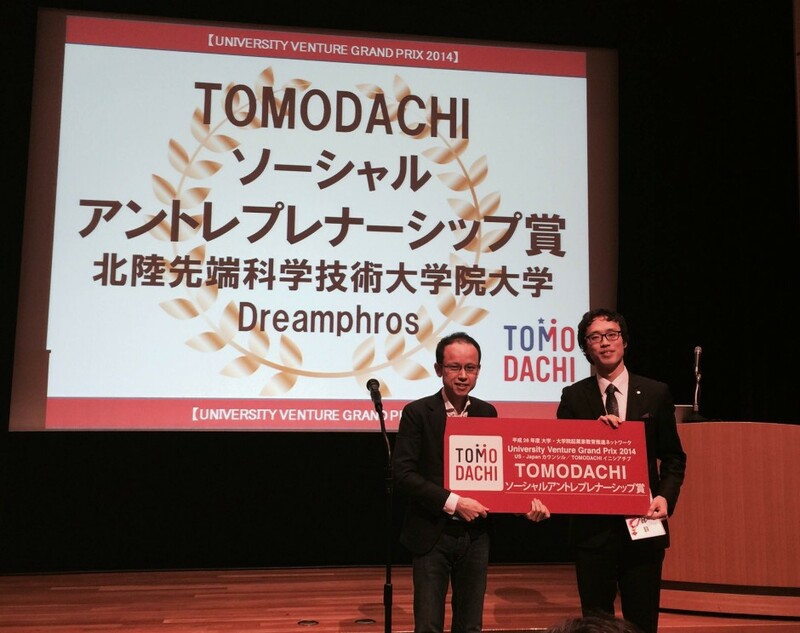 On December 20, 2014, the University Venture Grand Prix competition hosted by Ministry of Economy, Trade and Industry (METI) and held at the Tokyo Stock Exchange awarded the TOMODACHI Social Entrepreneurship Award to Dreampharos from JAIST (Japan Advanced Institute for Science and Technology). The competition is supported by the Tokyo New Business Conference and Nomura Research Institute, and welcomed a guest judge for the Social Entrepreneurship Award – Haruo Miyagi of ETIC. 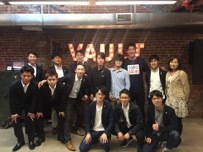 The three winning groups (the UVGP grand prize, the Teacher’s Award, and the TOMODACHI Award) will be headed to Silicon Valley in March 2015 to meet with various influential venture capitalists, local startups, big corporations, nonprofits, and fellow student entrepreneurs. Team DREAMPHAROS from the Japan Advanced Institute of Science and Technology (JAIST) developed an interactive communication service called “Yume-chou” that preschools can use to communicate with parents. Currently most schools use paper-based notebooks called “Renraku-chou” to send daily updates, but this project aims to position Yume-chou as a digital Ranraku-chou, thereby creating a more efficient communication channel for childcare. Yume-choe is based on cloud computing technology and can support real-time communication between parents and school officials. 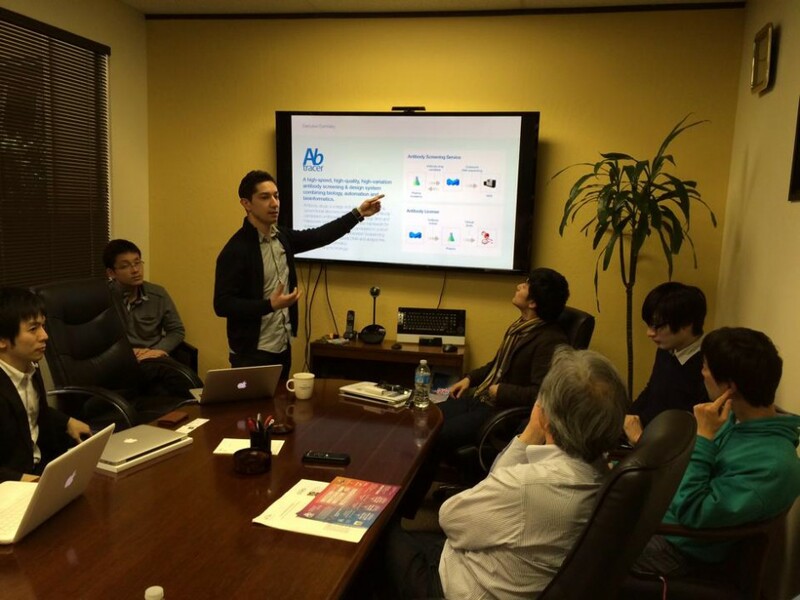 The team plans to establish operations in Komatsu City, Japan beginning April 2015. On January 29, 2014, Ambassador Kennedy hosted the fourth annual “The Entrepreneur Awards Japan” (TEAJ) ceremony at her Residence to support efforts to grow the field of entrepreneurship and innovation in Japan. Both Team Coddress and Team MOLCURE attended and were recognized on stage with the Ambassador. 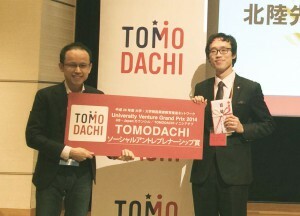 On December 22, 2013, Team CODDRESS and Team MOLCURE emerged as winners of the TOMODACHI Award at the 2nd Annual University Venture Grand Prix Entrepreneurship Awards. 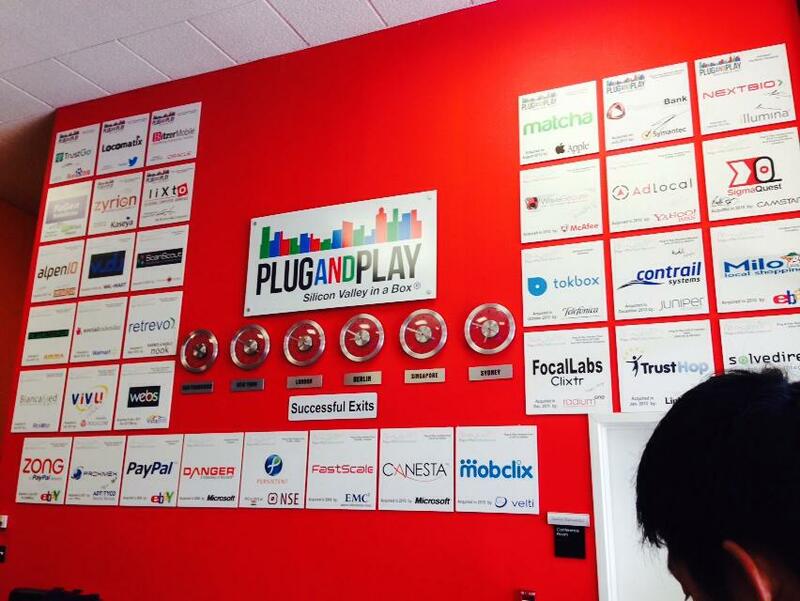 They had the opportunity to travel to Silicon Valley, California to meet and pitch their ideas to influential startups and venture capitals in March 2014. Team CODDRESS from Osaka University developed a new code system that will protect the privacy of online shoppers by masking their postal addresses online. By utilizing this revolutionary system, e-commerce sites will be able to provide their consumers with a safe shopping experience. 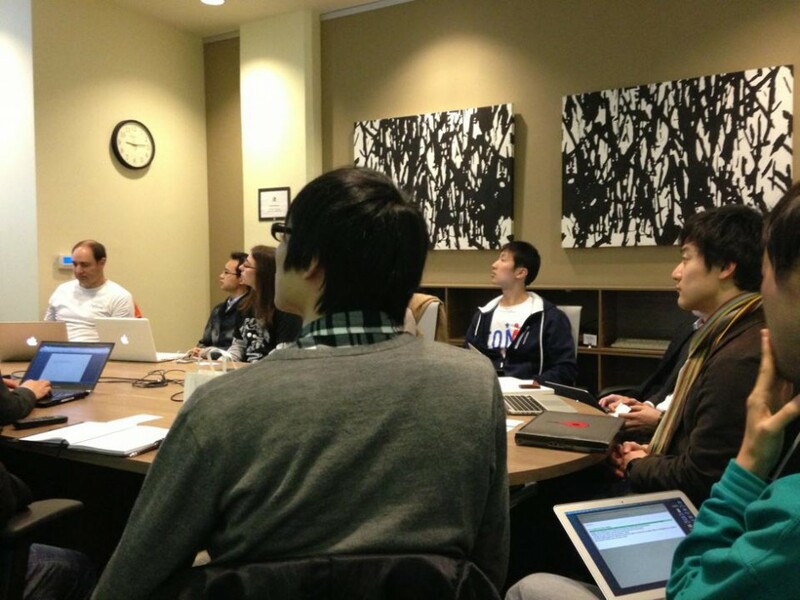 Team CODDRESS has already received high acclaim from popular e-commerce sites such as Rakuten and Yahoo! Japan. by using this new system. Many in the science and technology industry are already hailing their research as new breakthrough technology that will change the way we discover new antibody candidates. 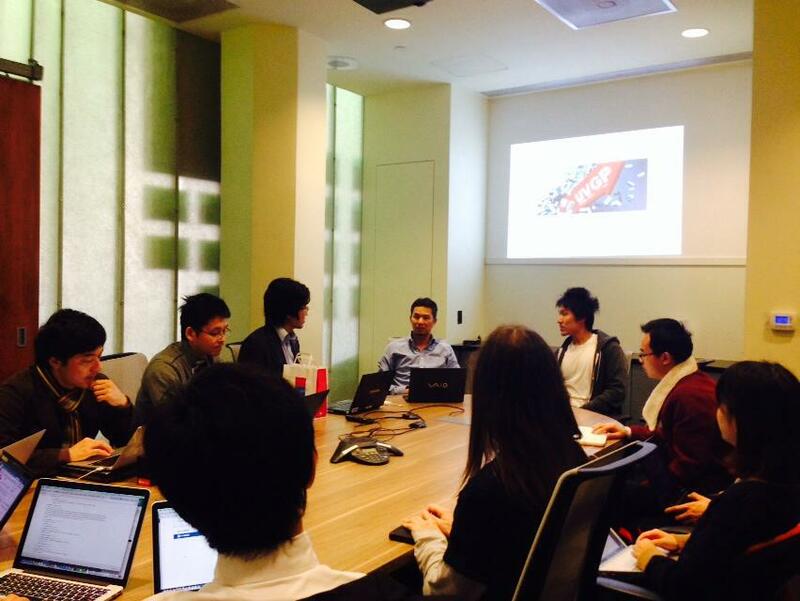 Team MOLCURE is a collaboration between students from the University of Tokyo and Keio University. 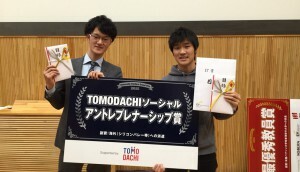 Out of 100 teams that applied, nine were chosen to present their ideas at the UVGP Competition, and only two teams were selected to receive the the TOMODACHI Awards. 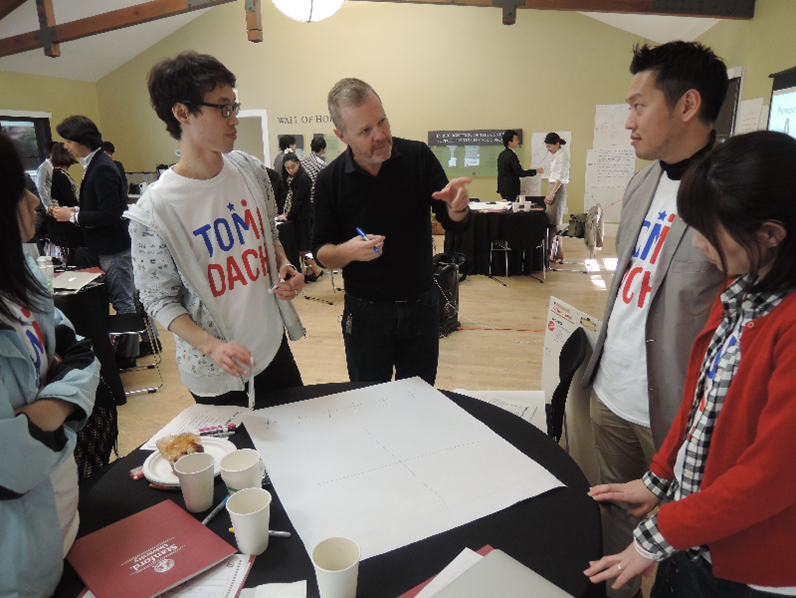 Kathryn Ibata-Arens, Associate Professor of Political Economy at DePaul University, attended the University Venture Grand Prix as a judge for the TOMODACHI Awards. She specializes in teaching courses on innovation, entrepreneurship, government policy and new venture business strategy, and was a great addition as the only female and non-Japanese judge on the panel. 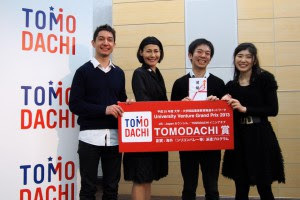 The TOMODACHI Awards were awarded to Team CODDRESS and MOLCURE at the University Venture Grand Prix (UVGP) entrepreneurship contest, established by the Ministry of Economy, Trade and Industry (METI), The Tokyo New Business Conference and other collaborators. 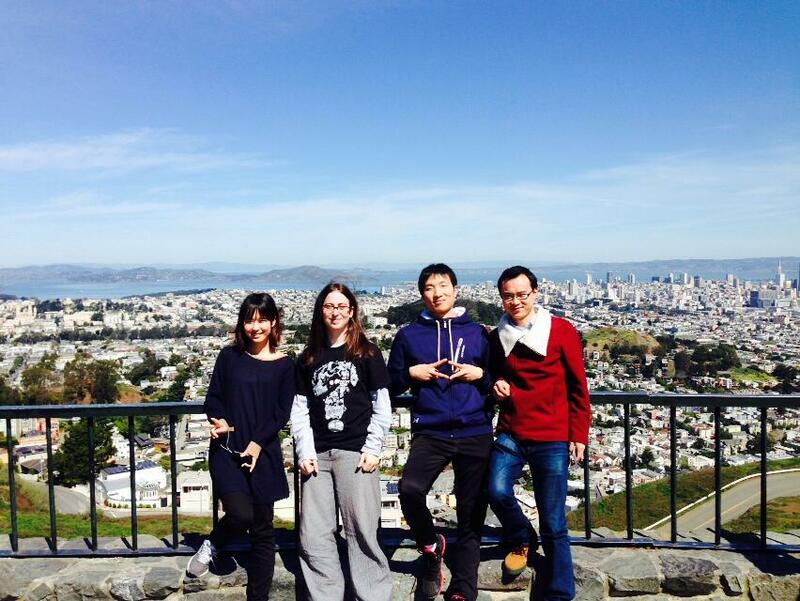 Together with mentors selected from the Tokyo New Business Conference, the teams went to Silicon Valley, California from March 17-23, 2014 to present their ideas to American venture capitals and influential startups such as Draper Fisher Jurvetson, Fenox Ventures, and Global Brain. They also met with Former U.S. Ambassador to Japan, John V. Roos. On March 17, 2013, the three winning teams from the University Venture Grand Prix entrepreneurship competition met at the offices of the Ministry of Economy, Trade and Industry (METI) to meet with the supporters who made this program possible. 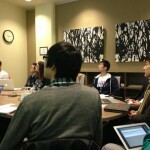 They headed off to Silicon Valley later that afternoon to begin their week. The event was hosted by the Ministry of Economy, Trade and Indsutry (METI) represented by Director of the New Business Policy Office Yoshi Ishii. The event was attended by entrepreneurship leaders in Japan such as Yutaka Tanaka representing the Tokyo New Business Conference (NBC), Ernie Higa of Higa Industries, Takao Yoshimura of Tohmatsu Venture Support, and was supported by Akira Kamitomai of Pasona, Laura Johnson from the U.S. Embassy in Japan, and Laura Winthrop Abbot from the TOMODACHI Initiative. Yoshi Ishii, Director of the New Business Policy Office at the Ministry of Economy, Trade and Industry, spoke of the need to harness the power of the third arrow of Abenomics: structural reforms. He said that Japan needs to pursue venture policy to help enhance the structural reforms. He showed a graph depicting that the newer a company is, the more jobs it creates, and thus advocated the creation of new venture businesses in Japan that target modern fields: Public Health, Green/cost-effective energy, regional communities and global outreach. He declared that “Japan is back”, but also stressed the need to catch up with the level that the US and the UK is at in terms of creating new start-ups. Yutaka Tanaka, Vice President of the Tokyo New Business Conference, echoed Mr. Ishii’s views about the need to create more venture businesses in Japan, and said that the Japanese people must take advantage of the vast amounts of newly printed money from the first arrow (quantitative easing), to take more risks and pursue the creation of venture businesses. 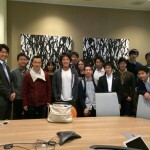 Mr. Tanaka also spoke about the wealth of expertise that was available to these budding entrepreneurs in the form of ‘sempais’ at the Tokyo New Business Conference that had been built up during the days when Japan was booming, and was hugely excited about having the members of Team Coddress and Team MOLCURE meet them and take advantage of their expertise.